PRN Offset will stimulate economic growth and provide a sustainable business model for the plastic recycling industry. That’s the 2014 message that Chris Dow from Closed Loop Recycling is giving key influencers in the industry. Pioneering plastic recycler Closed Loop Recycling has welcomed the latest commitment by key industry organisations to look at reform of the outdated PRN system in favour of a PRN Offset. The British Plastics Federation has announced its own review of the PRN system and is currently looking into the viability of the proposed PRN Offset model. Labour MP and APSRG co-chair Alan Whitehead welcomes this development and has also offered his support for a PRN Offset which he sees as a natural extension of his original ‘Renewable Content Obligation’ proposal. This policy called for a requirement for some packaging, such as plastic bottles, to contain a minimal level of recycled material by law. 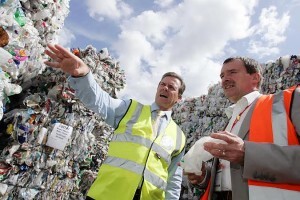 Commenting on the PRN Offset concept, Alan Whitehead said: “Retailers and packaging manufacturers have a responsibility to the public and the environment to do all they can to sustain the life of the packaging they produce, thus preventing thousands of tonnes of this resource ending up in landfill or being exported overseas. Incentivising brand owners and packaging companies to use recycled content is nothing short of essential if we are to operate to a circular economy.